The potential implications and pitfalls of these zoning changes could be huge, yet even the local neighbourhood association that follows these things very closely is saying that neither they nor the community at large have had adequate opportunity to review the proposed changes and comment on them. As we know, by the time something goes to a Public Hearing, the chances of significant changes are minuscule. And so, citing the lack of public consultation on this, the Grandview Woodland Area Council (GWAC) has launched a petition today asking Mayor and Council for more time. Join us for a trip down memory lane. 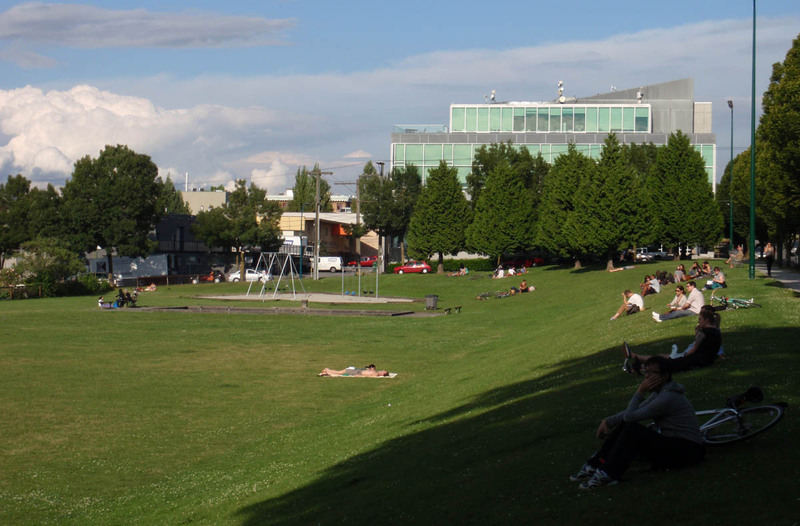 Find out about the urban design principles that shaped historical Mount Pleasant, Vancouver’s original suburb. Additional details on the walk and a map of the route are available on the Jane’s Walk website. For a height comparison, the Lee Building at Main and Broadway is 81 feet in height. The proposed future commercial office building would be approximately 25% higher than the Lee Building and it would have a considerably larger footprint. 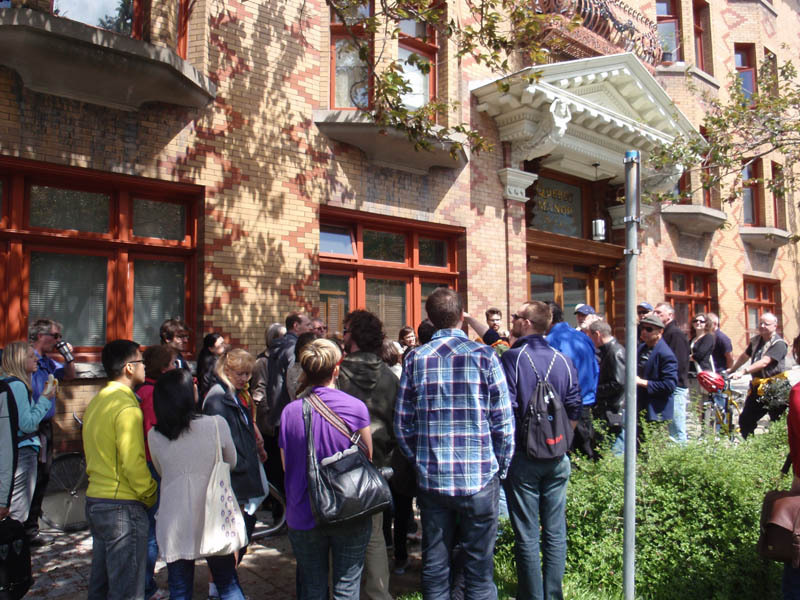 Description: Join us for an Architectural Heritage and Human Scale Urbanism Walk in Mount Pleasant, Vancouver’s original suburb. Find out about the urban design principles that shaped the evolution of this historic neighbourhood. In addition to visiting landmark buildings such as the 103 year-old Quebec Manor, the Lee Building and the Wenonah Apartments, other points of interest include apartment blocks on Quebec Street, rowhouses on 10th Avenue and heritage homes on Ontario Street. Learn more about streetscape details and urban landscape elements. The tour will conclude at a local coffee shop – please feel free to join us after the walk! Take the 99B-Line bus or 9 Trolley bus to Main & Broadway, and walk one block west to Quebec and two blocks north to East 7th Avenue. Alternately, take the Skytrain to Main Street Station and take the #3 Main Street Trolley bus to 8th, and walk one block west to Quebec and one block north to 7th. The #19 and #8 Trolleys stop at 8th and Kingsway. City Parking: Lot at 7th and Main (West side), street parking. We’ll be congregating in front of Quebec Manor at 101 East 7th at the start of the walk. The walk leader is Lewis Villegas. We are also delighted to announce that Ned Jacobs (Jane Jacobs’ son) will be attendance. Vancouver City Council will be reviewing the 202 unit tower proposal at 275 Kingsway on Tuesday, February 17th after 6pm. The full meeting agenda is now online (click here). Speakers who wish to address City Council can sign up to speak by sending an email to publichearing@vancouver.ca (please indicate the item 275 Kingsway, further details below). 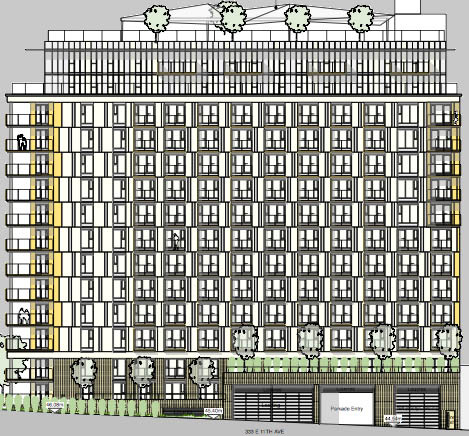 The City of Vancouver recently referred a proposal for a very high density, 14-storey tower at 275 Kingsway to a Public Hearing on Tuesday, February 17th, 2015 starting at 6pm. Further details about the hearing can be found on the City’s website here (alternate address: 333 East 11th Avenue). The site for this proposed building was not contemplated under the the Mount Pleasant Community Plan. The proposed building height of 14-storeys (139 feet or 42.4m) is taller than other buildings in the area (the UNO, Stella, Sophia and Uptown). The density proposed is substantially higher than buildings in the area. The staff report shows that a floor space ratio of 3.0 is the maximum allowed on the site, while 8.66 FSR is being requested. To put this into perspective, 49,110 sq ft of floor would be the maximum allowed under Central Broadway zoning, this compares to 147,330 sq ft proposed (or 4,562 m2 vs. 13,163 m2, or 280% of what is permitted). Other existing buildings in the area have a floor space of around 3.0 FSR (the UNO, Stella, Sophia, Uptown). 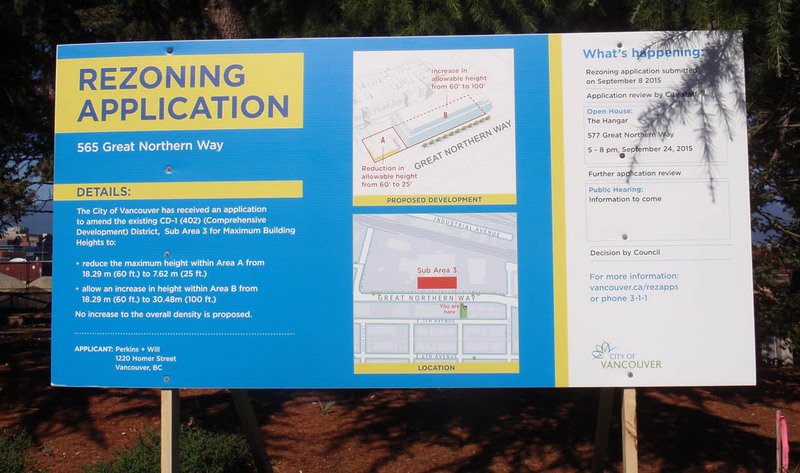 The City of Vancouver would normally collect required Development Cost Levies (DCLs) of $1,822,160 for 147,330 square feet of space. Instead, the staff report recommends that only $77,027 of DCLs be collected, and that the City forgo $1,745,133 that would help fund basic infrastructure. In addition, no Community Amenity Contributions (CACs) are being offered as part of this project. The CACs could be put into daycare, greenspaces, an outdoor pool, or other amenities to benefit the community. The CACs would be completely waived. A total of 202 for profit market rental units are being proposed. The maximum rents that would be possible are shown in the staff report as $1,242 (studio), $1,561 (1 bedroom) and $1,972 (2 bedroom). Suggested initial rents are proposed as $1,050 (studio), $1,200 (1 bedroom) and $1,725 (2 bedroom). An influx of expensive rentals in the community can affect the rates for existing nearby rentals, as a provision under the RTA can allow other landlords in the area to request a rental rate hike (above the normally allowed annual rent increase). This meeting will be focused solely on the rezoning application at 275 Kingsway (333 East 11th) and we will provide further background information on this proposal and on the Public Hearing. Speakers who wish to address City Council on February 17th can sign up to speak by sending an email to publichearing@vancouver.ca (please indicate the item 275 Kingsway). Alternately registration is possible by calling 604-829-4238. We also suggest that speakers also ask for their number in line. The Public Hearing will start at 6pm at 453 West 12th Avenue (entrance from 12th Avenue, in Council Chambers on the third floor). Please come join us at a planning session for all Mount Pleasant residents and other stakeholders at St Patrick’s Church. 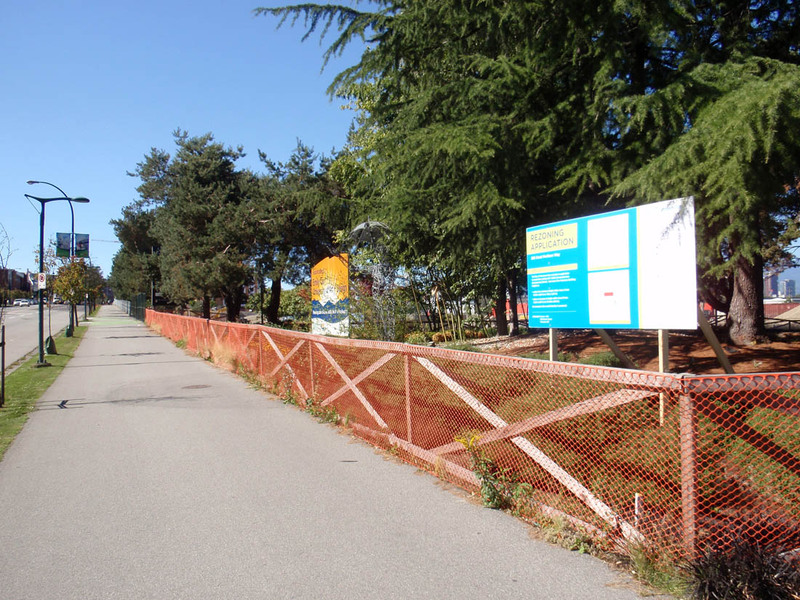 [Update] The skateboard facility report has been withdrawn from the Park Board agenda for February 2, 2015. The board will not be hearing from speakers at this meeting, but rather at another meeting in the future. 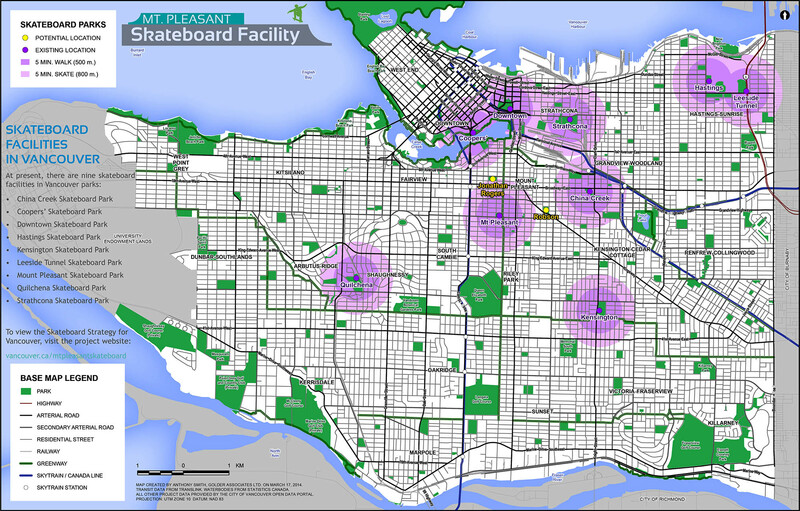 Park Board was set to review a report that includes a proposal for a new Skateboard Facility in Mount Pleasant on Monday February 2nd. The recommendation by staff was to construct a new facility in Jonathan Rogers Park (8th Avenue and Manitoba). 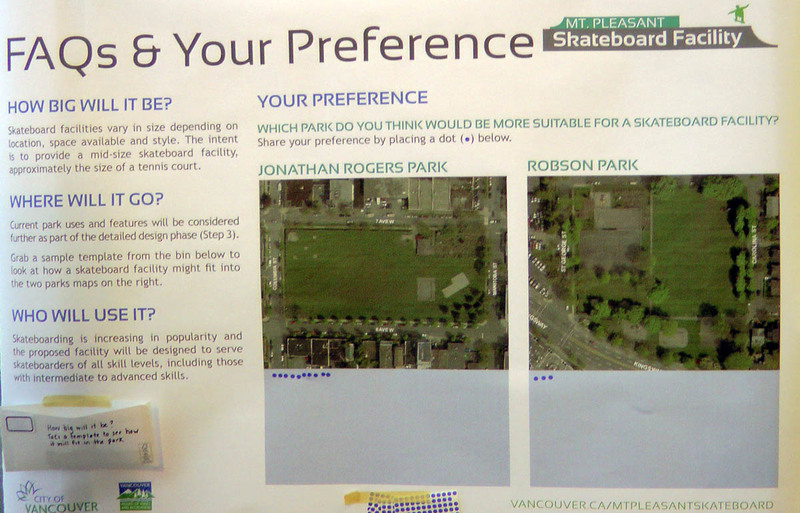 Two options were considered by staff (Jonathan Rogers Park or Robson Park) and these were shown to the public at an Open House that was held on April 3, 2014. 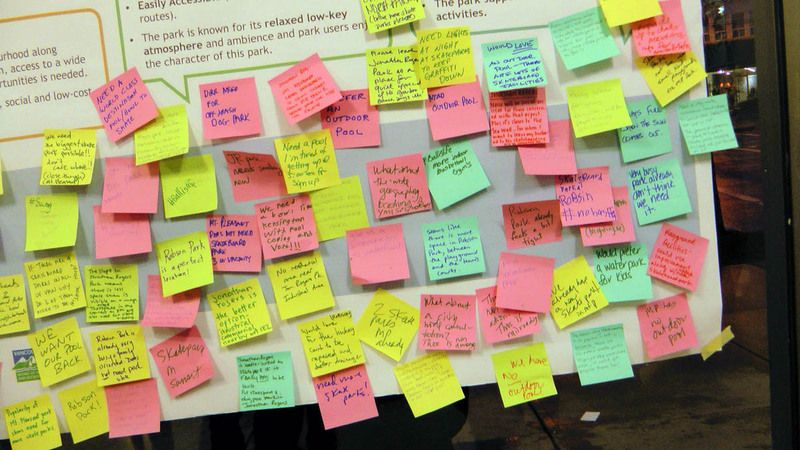 Details about the public consultation process for the Skateboard facility can be found in a document released as part of a Freedom of Information Request (download PDF). 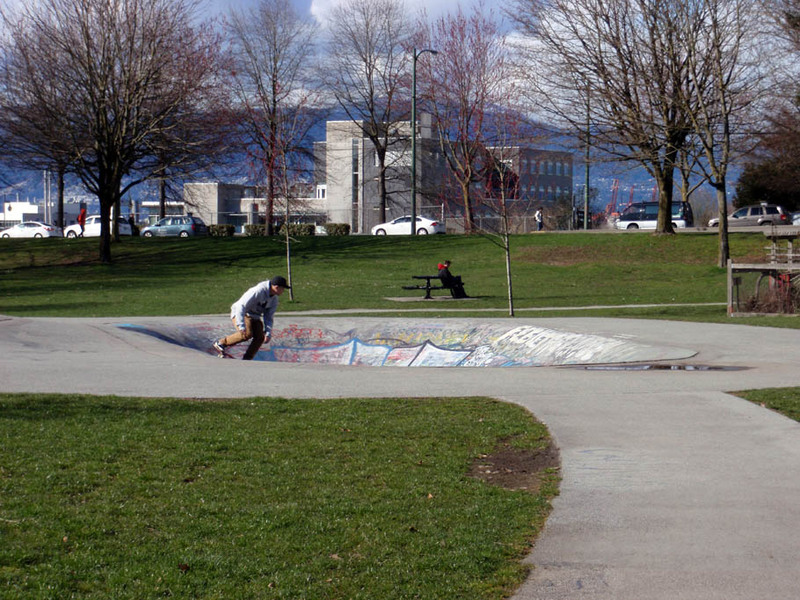 The report made no recommendations about the other skateboard park in Mount Pleasant in China Creek Park (East 10th Avenue, west of Clark).